It was way too crowded. People were getting pushed. Last clue made no sense. Not sure I would do this again. I'm just glad that I was at AT&T Park! 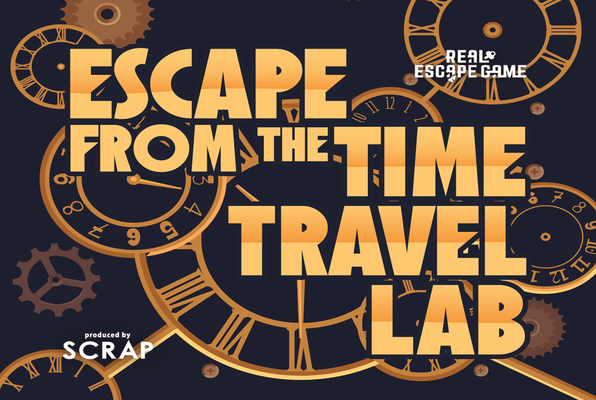 Reviews of escape game "Escape from the Time Travel Lab – Activate the time machine!" This was my first escape game so I wasn't 100% sure what to expect. It really is so much fun! The puzzles are very clever, kind of in the style of a Professor Layton game though obviously it's in the real word. I think this adds to the excitement as you're physically moving around and manipulating objects with the other players. One thing I was a little worried about was we were in a time slot with one other group. This ended up being really fun though, as the game is well set up for collaboration. I'd say the difficulty is just about perfect, as we really were "SO CLOSE!" Also, the staff are delightful. I can't wait to try another Real Escape Game! Literally one puzzle away from escaping Time Lab! Had so much fun, if you can get a group of 11 of your friends, you will not regret it. We'll be back for the Puzzle Room! So much fun, even though we didn't escape. So close!! Very intelligent event, it's harder than you think it might be. A great event for team building or a group of friends, or go by yourself too. Harrison and the rest of the crew (sorry I didn't get their names!) were fantastic, the puzzles were genius and I had a great time. It was a blast. Our group missed it by about five minutes; more hints should be shouted by the staff or the fox. Fifteen percent is too low a number. It means they are too hard, especially if those in the room haven't done any game like this before. Would love to see a children's one happen, maybe based on (non brand name) Minecraft or Greek mythology. The history of the game in Japan and Hungary are fascinating. Will recommend to friends.